At Lusum we now have this extra large sports towel available. 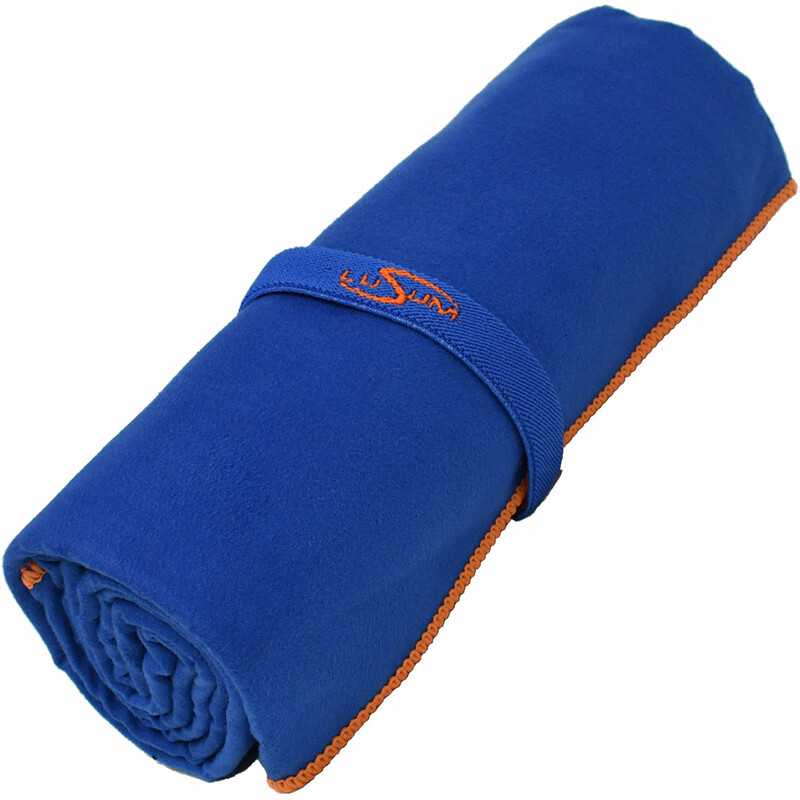 Fast and easy to dry this towel is made of 80% polyester and 20% polyamide microfibre. The perfect space saving towel which is not only suitable for use at the gym, swimming but also to take travelling or camping too. The towel rolls up into a compact package and it has it’s own elastic strap to keep it rolled up or to hang it up whilst your showering. In a bright Royal Blue colour way with Orange trim this one really does stand out from the rest on the market. Machine washable at 30 degrees and wash with similar colours.